Just a quick article to explain the New Safety Standards Updates and Changes that could affect your work safety products. 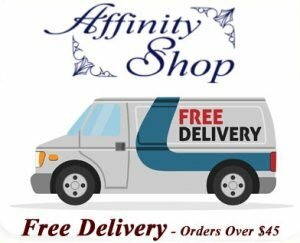 At Affinity Shop we like to keep you, our customers informed. We want to help you make the right choices when it comes to work safety and personal protective equipment (PPE). Having great looking products is one thing, but performance in real world situations is a must. We try to provide both! Our focus is on great looks, comfort and high levels of user work safety and protection. As many of you may know, one of our main suppliers Force360 are one of the only companies in Australia that offer a completely certified range of products. 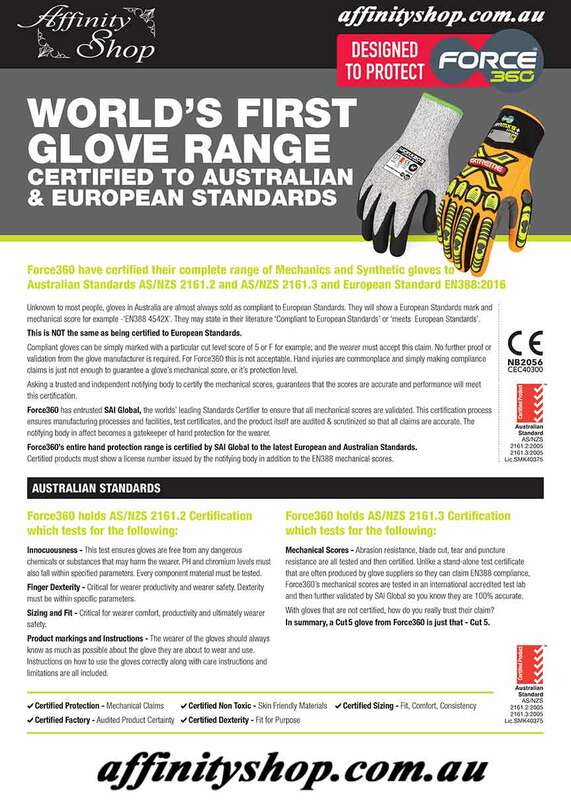 There are certain benefits to using products which hold both European and Australian Safety Standards. Ultimately, you are able to get the best of both worlds. We have already explained some of the benefits of Australian Safety Standards Certification here. 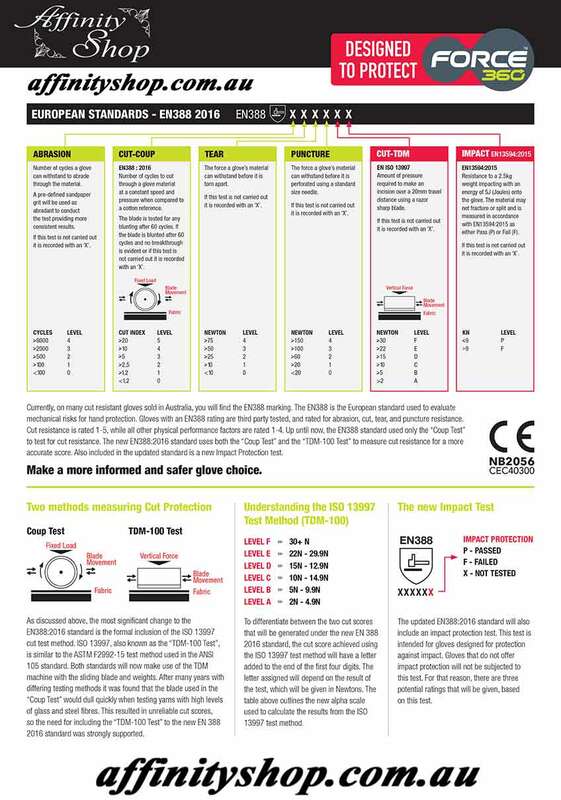 Though if you would like to view some of the benefits of the Force360 Range you can download this PDF. Why have there been New Safety Standards Updates and Changes (EN388 2016)? Many people are struggling to get their heads around the European Safety Standards Updates and Changes. Essentially the Glove Safety Standards System has been improved to provide better real world testing. The new European Safety Standards EN388 2016 have brought changes that should help workers and safety site specialist to do their job better and with less risk. Glove Safety Standards are very important in ensuring people get the best protection that suits their workplace applications. 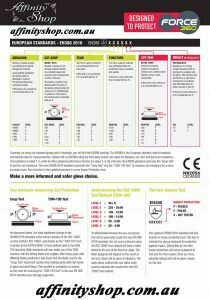 Please Download this PDF Datasheet here or click on the link below to learn more about the New European Safety Standards EN388 2016. We understand many users may not be interested in Safety Standards and technical jargon. We can ensure you that we do our best to provide great quality products that perform in real world situations. Information is provided so our users can get the best value and best performing products for their individual workplace or site safety. We want you to feel comfortable and buy products you can depend on and trust. If you have any questions or need further help, please get in touch with us! We are always happy to help.